The production version of Infiniti's Q30 compact hatch unveiled last week stays faithful to the striking, and somewhat polarizing, looks of the 2013 concept. Headed for the U.S. next spring, the British-built Q30 is designed to crack Europe's tough premium segment and competitors such as the Audi A3 and BMW 1 series. The Q30 goes on sale in Europe at year end. The four-door hatchback's design suggests a mixed ancestry -- one part sporty coupe, one part crossover and one part luxury sedan. It is built off Mercedes-Benz's MFA architecture as part of a global vehicle-development partnership between Daimler and the Renault-Nissan Alliance. Infiniti's new styling ethos, reflected in the Q30, features sweptback side panels and large narrow headlights, with a prominent grille. 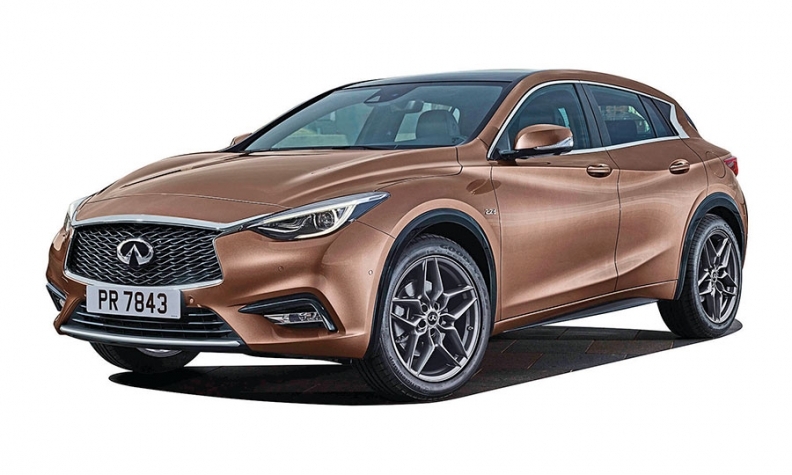 Francois Goupil de Bouille, Infiniti's head of Europe, Middle East and Africa, has admitted not everyone will like the design. "We'll have some customers that love it and other customers that reject it," he said last year. "But that is what we want."